An artist's journal is packed with sketches and captions; some rough, some polished. The margins sometimes spill over with hurriedly scrawled shopping lists and phone numbers. The cover may be travel-worn and the pages warped from watercolors. Open the book, and raw creativity seeps from each color and line. The intimacy and freedom on its pages are almost like being inside the artist's mind: You get a direct window into risks, lessons, mistakes, and dreams. The private worlds of these visual journals are exactly what you'll find inside An Illustrated Life. 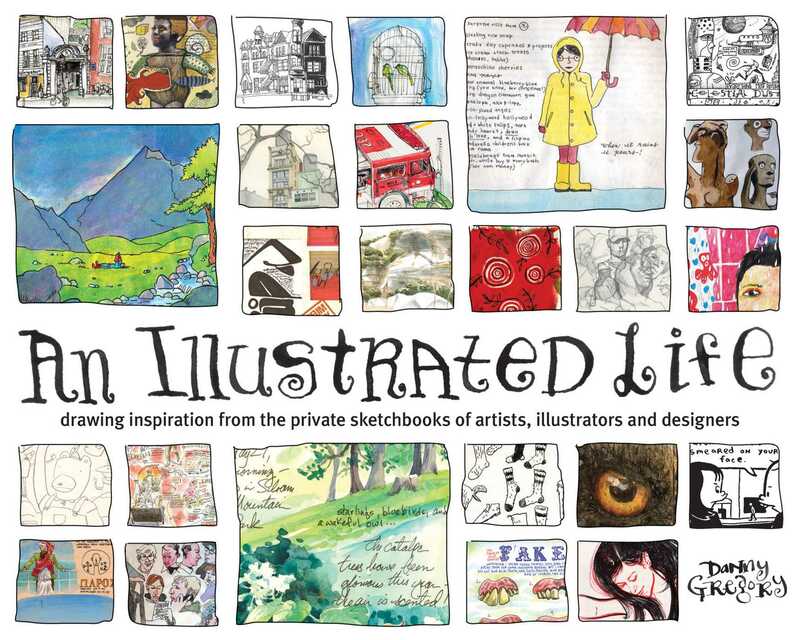 This book offers a sneak peak into the wildly creative imaginations of 50 top illustrators, designers and artists. Included are sketchbook pages from R. Crumb, Chris Ware, James Jean, James Kochalka, and many others. In addition, author Danny Gregory has interviewed each artist and shares their thoughts on living the artistic life through journaling. Watch artiststhrough words and imagesrecord the world they see and craft the world as they want it to be. The pages of An Illustrated Life are sometimes startling, sometimes endearing, but always inspiring. Whether you're an illustrator, designer, or simply someone searching for inspiration, these pages will open a whole new world to you.